You are currently browsing the tag archive for the ‘colored pencil artwork’ tag. 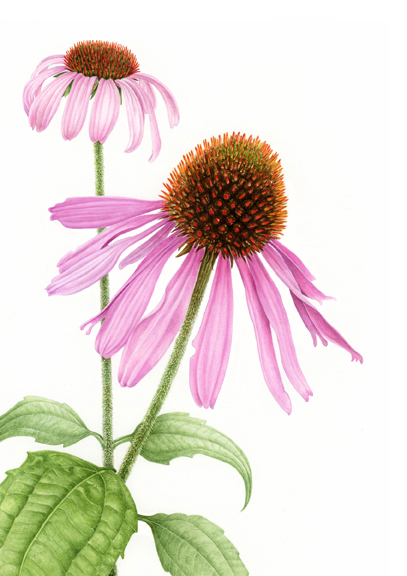 If you love plants and like to draw, this workshop on botanical drawing is custom-made for you! Join instructor Cristina Baltayian for a three day workshop on drawing autumn leaves in colored pencil on wood. This exploration in colored pencil on wood will show you how to start and finish a botanical portrait of a leaf. If your curiosity is piqued and you wish to investigate further, please join the on-going Tuesday Botanical Art classes from 10am-2pm. ALL LEVELS WELCOME. SUPPLIES WILL BE PROVIDED AT THE START OF THE CLASS, although students may bring their own colored pencils if desired. Pre-registration required: please call 626.821.4623. 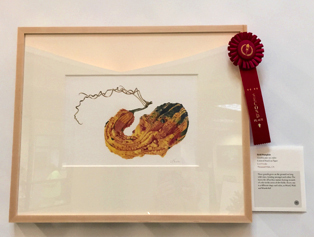 Cristina Baltayian holds a Botanical Illustration Certificate from Cornell University. She has a background in drawing (graphite, charcoal, pen and ink), two-dimensional design, watercolor, and colored pencils. 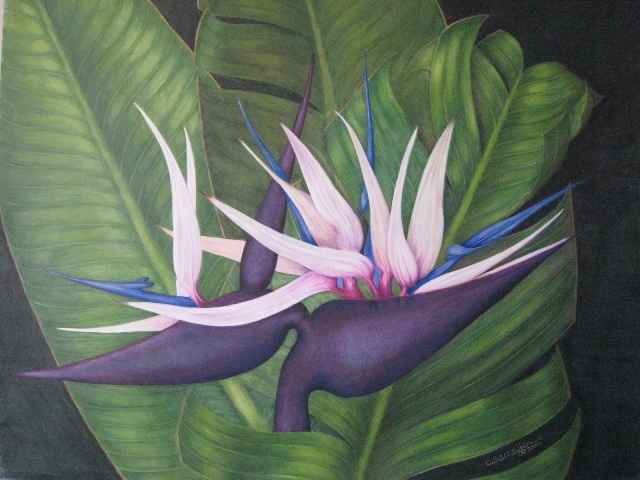 Her work is in public and private venues, and has been shown at Filoli, Los Angeles County Arboretum and Botanic Garden, Chapman University, Virginia Robinson Garden and in an adjunct Botanical Artists Guild of Southern California group exhibition presented by the botanical gardens at The Huntington Library, Art Collections and Gardens. She is a member of the American Society of Botanical Artists, and The Botanical Artists Guild of Southern California. 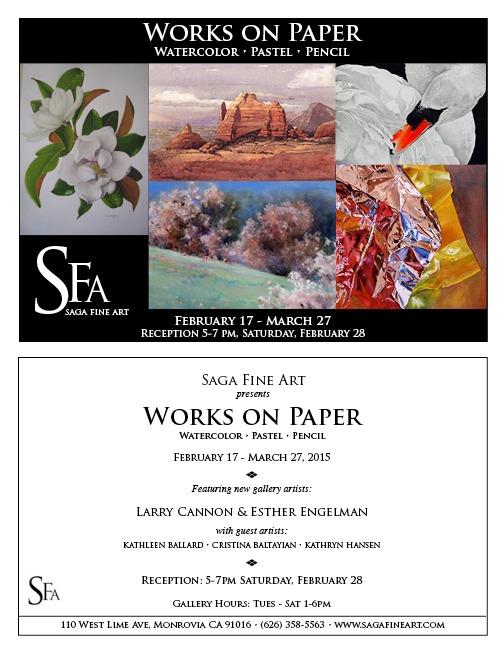 Cristina Baltayian will be exhibiting her artwork in “Works on Paper,” at SAGA Fine Art. Cristina Baltayian will be showing 15 paintings at SAGA Fine Art in an exhibition entitled Works on Paper. Showcasing artwork in watercolor, pastel and pencil, the exhibition runs from February 17 – March 27, 2015. An opening reception will be held Saturday, February 28, 2015 from 5 – 7 pm. SAGA Fine Art specializes in representational Plein Air, Landscape, Figurative and Still Life paintings by contemporary artists. It is located at 110 West Lime Avenue, Monrovia, California 91016, 626.358.5563. Gallery hours are Tuesdays through Saturdays, 1 – 6 pm. 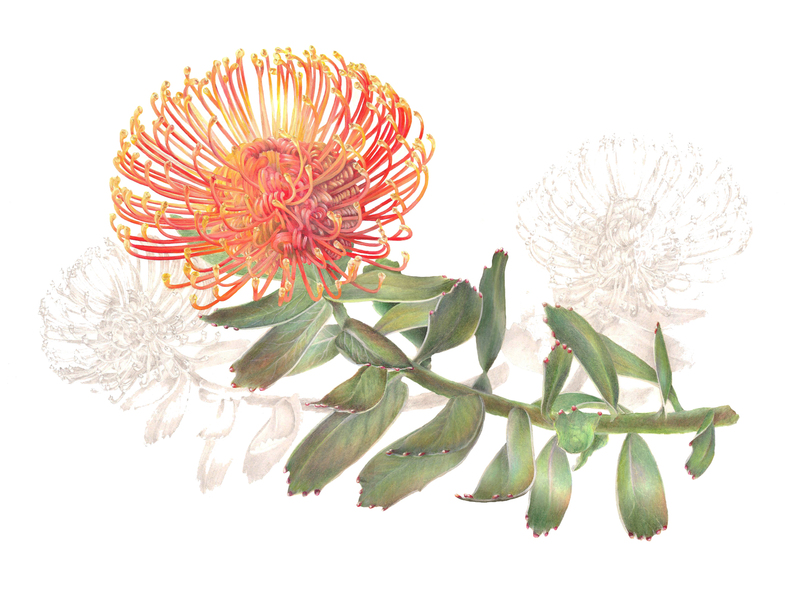 Botanical Visions, an exhibition of botanical art by ten members of the Botanical Artist Guild of Southern California (BAGSC), opens this weekend in the Ecke Building of the San Diego Botanic Garden. 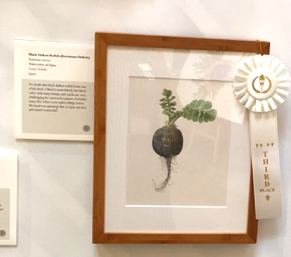 Guild members produce scientifically accurate as well as beautiful botanical pieces. The exhibit will feature paintings, drawings and prints in watercolor, pen and ink, graphite and colored pencil. Come meet the artists at the opening reception, Saturday, January 12th, 2013, from 5:00 – 7:00 pm. The reception is free and open to the public. The exhibit will be open during regular garden hours, January 13 – March 23, 2013. Exhibiting members include: Estelle DeRidder, Linda Ericksen, Polly Jones, Joan Keesey, Lesley Randall, Gilly Shaeffer, Janice Sharp, Deborah Shaw, Mitsuko Schultz and Patricia Van Osterhoudt. The initial five-pack of LA Arboretum Introduction cards include cards by Cristina Baltayian, Akiko Enokido, and Janice Sharp. The cards are blank inside for messages; the back has text about the Los Angeles Arboretum, BAGSC, the plant, and the artist. BAGSC has been asking its Members to “donate” the use of images they may have, or will create, to be included in an “Arboretum Introduction” card collection. So far we have put together a test run of five cards that are now on sale in the Los Angeles Arboretum Gift Store. The cards have been well received and we are moving forward with the project. If you have Introduction plants you have painted/drawn and would like to have them included in this project please contact Janice Sharp or Deborah Shaw. For those who have painted plants and are not sure if they are “Introductions”, please contact Deborah to send a digital image, or mail a print to me and I will take them to the botanists at the Arboretum to get an opinion as to whether they are “Introduction” plants. Read about the LA Arboretum Introduction project and see the Google map to the plants at the Arboretum on the BAGSC blog by clicking the links in this sentence. For those who have found the Google map difficult to use to locate the Introductions contact Janice Sharp and she will arrange a tour of the Arboretum to find the Introductions. Preparing for an exhibition submission can be an exciting project yet sometimes, also a little daunting. What subject should I pick? Where do I find it? How do I create that particular texture? What type of composition will show the specimen off to its best advantage both in terms of its unique characteristics as well as offer an aesthetically appealing result? You will be able to get help with all of these elements by signing up for Margaret Best’s 3-day workshop at the Huntington Gardens on July 26, 27, 28. Margaret will be steering participants towards meaningful compositional choices to kick-start a direction for creating potential entries into the BAGSC Drought Tolerant Plant Exhibition at Chapman University Library next year. Not only has Margaret developed a new format for her workshops, already proven in Bermuda, Canada and recently in Italy, she is also experienced in teaching graphite, watercolor and colored pencil and will be therefore welcoming all mediums in this workshop. This open medium instruction will be a first for BAGSC. Margaret suggests you bring your usual supplies, that include your own preferred paper and paints/colored pencils, but she is happy to provide her own color palette choices for both mediums upon request. She can be reached via her website with any questions in regards to supplies. What you are required to bring with you is your own specimen. For those of you who love to depict colorful flowers, there are many options in this category too, but you should also be aware that the purpose of the exhibition is to bring a focus on the unique structures of drought tolerant and drought resistant plants as well. And the choice is not restricted to purely Californian natives. Once you have made your selection, it is suggested that you familiarize yourself with the plant by completing preliminary sketches and doing some research into the ways that the plant structures you will be depicting, assist in its toughness to survive in regions that are often subjected to periods of time without water. This pre-workshop preparation time is not a pre-requisite to attend (nor is there a pressure to exhibit if you do not wish to do so) but it will help you progress more efficiently with a compositional direction and give you more time for color application and technical assistance. So the time to both register and start looking for a subject is right away. Don’t miss this opportunity to be a part of this wonderful exhibition but also to be able to prepare for it with Margaret Best. The cost for this class will be $300. Hold your space with a $50. non-refundable deposit, check made out to BAGSC and sent to Leslie Walker. Final $250. payment due July 1, 2012. Fabriano 5 paper (only available in Europe) will be available for purchase from the BAGSC inventory at class, three half-sheets for $7.00. Participants should be selecting plants (for help call Deborah Shaw or Leslie Walker) now, and starting sketches, color matching, & composition ideas. The more preparation you do ahead of the class the more you will get out of the class. Cristina Baltayian’s popular Colored Pencil classes are now also being held on Saturday, so do plan on coming to the Arboretum and enjoying a beautiful day! This class will explore flowers, fruits, vegetables and more, using colored pencils techniques to get beautiful, painterly results. Pre-registration required; please call 626.821.4623 or email Jill Berry. A supply list will be provided upon registration. Class participants may bring lunch or purchase it at the Peacock Café. Magnolia, © Cristina Baltayian, all rights reserved. Cristina Baltayian has a background in drawing (graphite, charcoal, pen and ink), two-dimensional design, watercolor, and colored pencils. Her work has been shown at Filoli, the Los Angeles County Arboretum, and Chapman University. 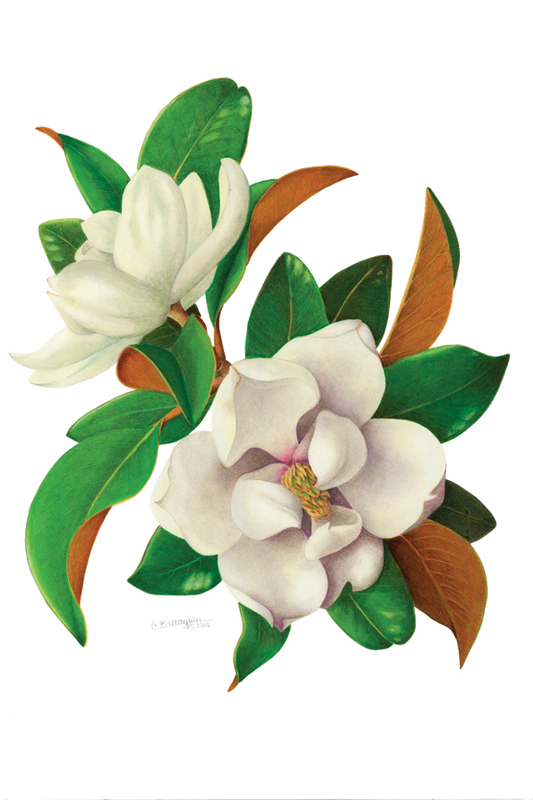 She is a member of the American Society of Botanical Artists, and The Botanical Artists Guild of Southern California. Colored Pencil Artwork by Cristina Baltayian, © 2010, all rights reserved. 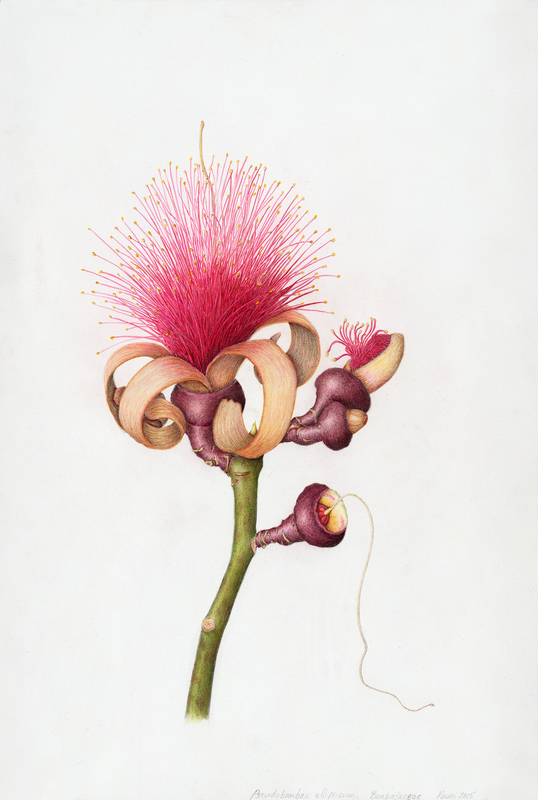 Cristina Baltayian will teach “Using Colored Pencils in Botanical Art” at The Arboretum. The class will focus on color pencil techniques, composition, and color mixing. All levels of experience are welcome. The cost is $255/month for Arboretum members, and $275/month for non-members. A supply list will be provided upon registration. Students may bring a sack lunch, or purchase one at the Peacock Café. Preregistration is required. To register, please call The Arboretum at 626.821.4623. Cristina Baltayian has a background in drawing (graphite, charcoal, pen and ink), two-dimensional design, watercolor, and colored pencils. Her work has been shown at Filoli, the Los Angeles County Arboretum and Chapman University. 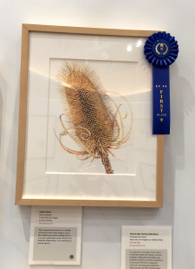 She is a member of the American Society of Botanical Artists and The Botanical Artist Guild of Southern California. The Arboretum is open daily from 9AM to 5PM and is located at: 301 North Baldwin Ave, Arcadia, CA 91007.